Happy St. Valentine’s Day all. 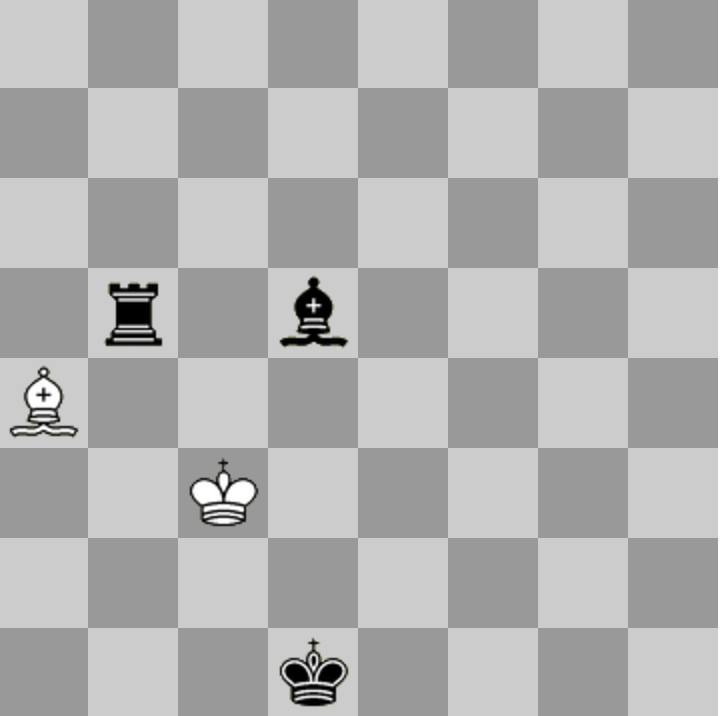 To solve the Smullyan retrograde chess puzzle posted yesterday, the first question to ask is “is the black king actually in check, or not?” In a great many retro problems the first task is to determine who is to move, and knowing that one or the other side is in check is the easiest way to do that. Great. Is this the answer? No. Because now white is in check. Twice. You can’t end a move in check. Therefore black just moved one of the pieces on the board in order to deliver that double check. Which one? It certainly was not the black king. But there is nowhere that the black rook or black bishop could have moved from such that white was not already in check by the other black piece! 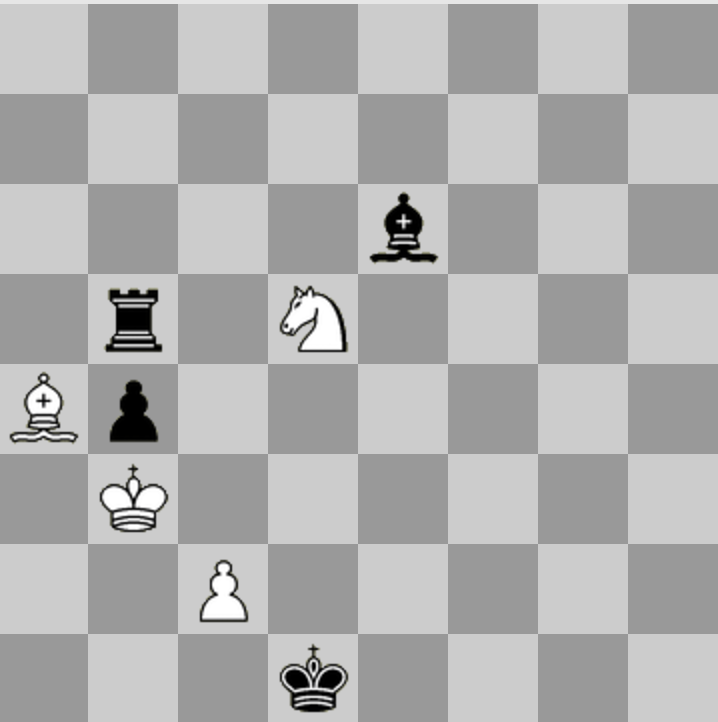 Since white did not end a move in check, it is impossible for the white king to be on B3. Therefore the black king is in check after all. So it is black’s move. Some white piece now on the board must have moved in order to deliver that check. Which piece was it? There are only two: the white bishop and the white king. Suppose it was the bishop. Now we have the same problem again: where did the white bishop come from to deliver the check, such that black was not already in check? Nowhere, that’s where. Therefore: black is in check. The check was a discovered check caused by the white king moving away from B3. There are only two squares that the white king can move to from B3 such that the white king is not moving into check. 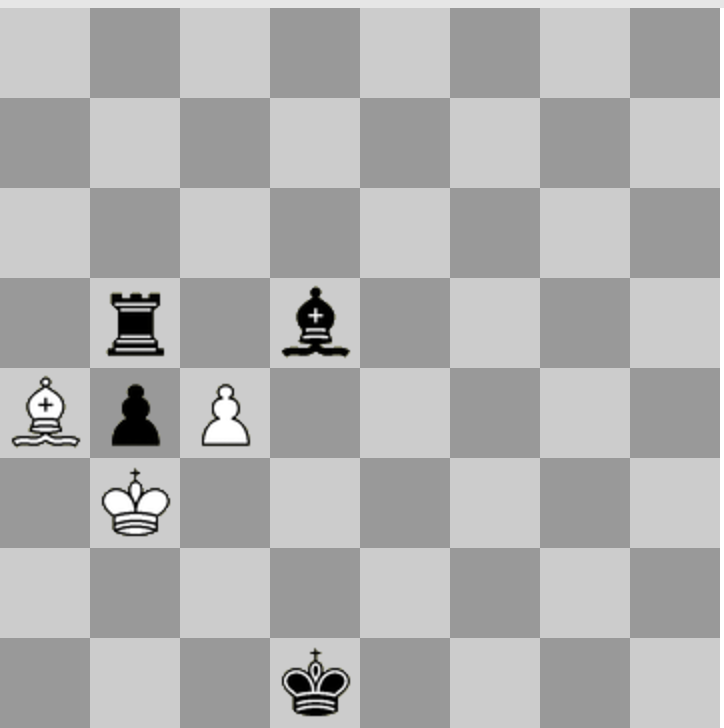 Therefore: black is in check, the check was delivered by moving the white king from B3 to either A3 or C3. Hold on a minute! Didn’t we just argue previously that the white king could not possibly have been on B3? No. We just argued that the white king could not be on B3 with the board as it is at present because there is no piece that could have delivered the double check. But the white king could have been on B3 on a board in the past with an additional black piece on it, a piece that was just captured by white, and it was that piece which delivered the seemingly-impossible double check. So: at some point in the past the white king was on B3. Black made a move of some piece that ended on either A3 or C3, which double-checked white. White responded by taking that piece and giving a discovered check to black. What now-taken black piece could possibly deliver that double check by moving to A3 or C3? There is only one possibility, but to see what it is we’ll need to go back a few moves. …leaving the white king on C3. There is no way to get a black piece that reveals the double check to A3, so this is the only possible solution. Can white force a draw? Who cares! Retros are about figuring out the past, not about what the outcome of the game will be. If you like this sort of puzzle — and believe me, they get a lot more complicated than that! — Smullyan’s two books on the subject are both delightful. And if you do, a word of advice: pawns can capture en passant, pawns don’t have to promote to a queen, and just because pieces are on their starting squares doesn’t mean they’ve never moved! Ah, Smullyan… Good times of my youth. I still have on my shelf the french versions of “What Is the Name of This Book?”, “The lady or the tiger?”, and “Satan, Cantor, and Infinity”. In fact, I just learned that those are their original names; in french the titles have been translated as something like “What is the name of this book?”, “The book that drives crazy”, and “That’s it, I’m crazy”. I did not understand after white pawn moves to C4 to block the check, how did the Black pawn on B4 get to C3, unless there is a white piece on C3 and the pawn crossed over to take it out. 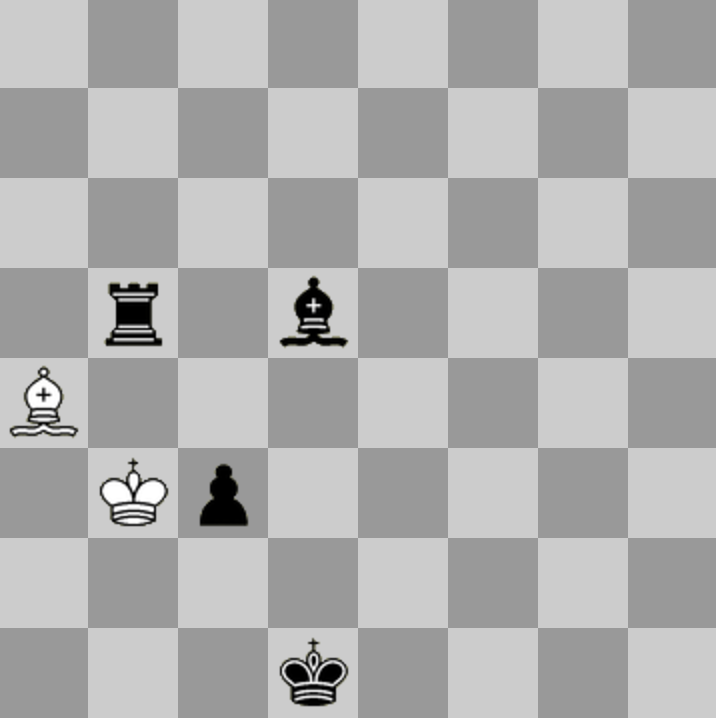 But with the white pawn next to it, the black pawn cannot move to an empty diagonal square. It’s called “capture en passant”, or, in English, “capture in passing.” When a pawn makes its very first move, it can advance either one or two ranks. In this case, white’s pawn moves C2-C4. In the next turn, and only the next turn, black can directly capture the pawn as if it had only moved one square, to C3. Of course, this requires a black pawn to be on either B4 or D4.